Anatomical English Flash Bridle from Nunn Finer - The Aformadi in black or havana. 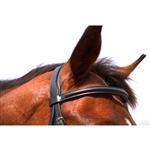 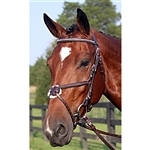 Nunn Finer designed the new Aformadi English Bridle to make your horse more comfortable. 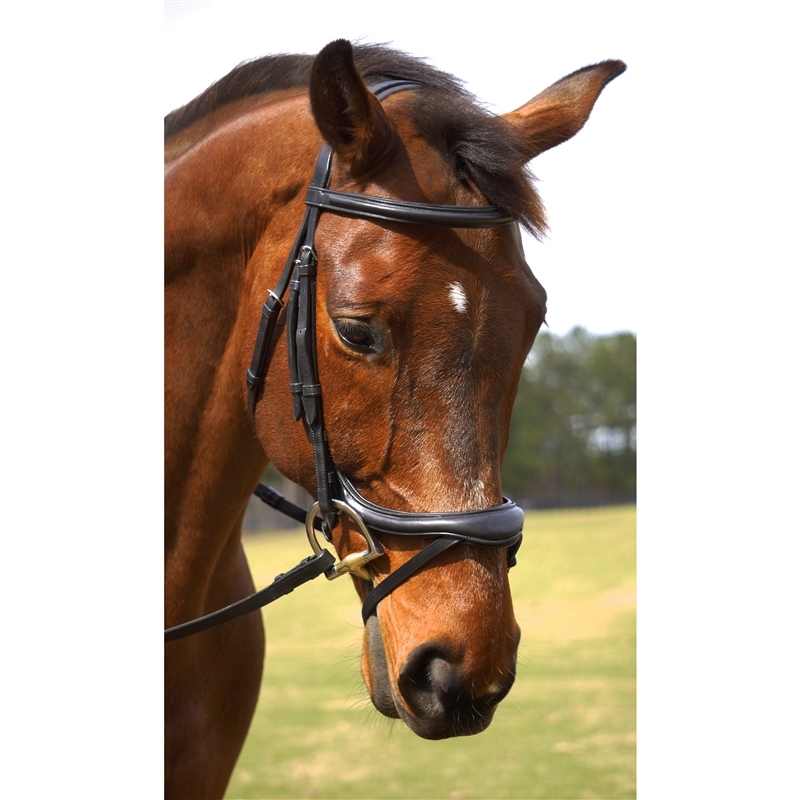 Curved cavason cheeks that run underneath the jaw line allow for a more comfortable fit. The flash is built in, yet removable and when removed leaves a clean line. 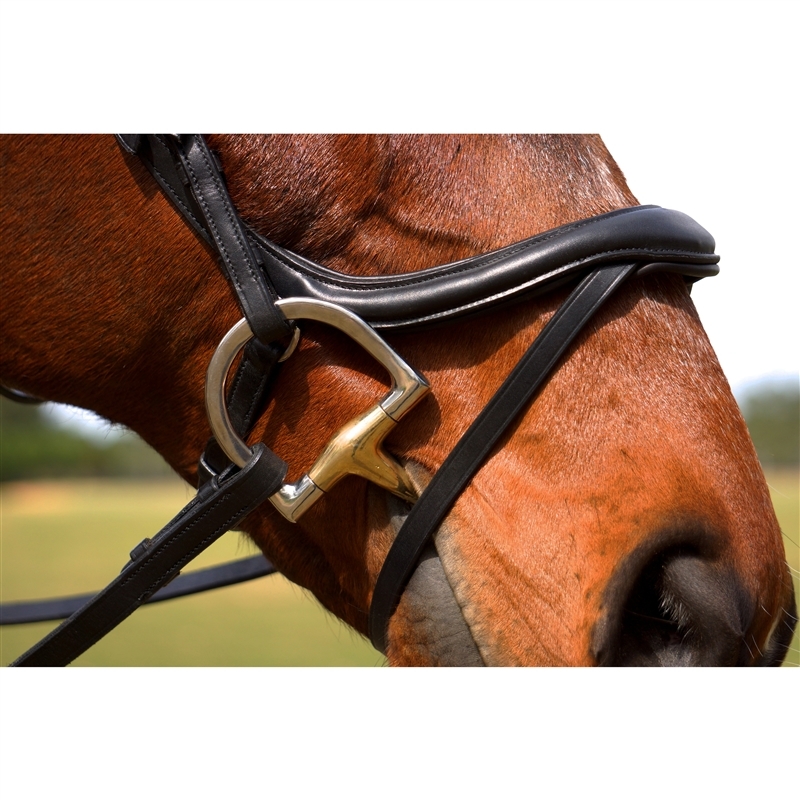 Made from fine Italian leather, the Aformadi has stainless fittings and your choice of reins - Rubber Lined, Rubber, or Soft Grip Reins.